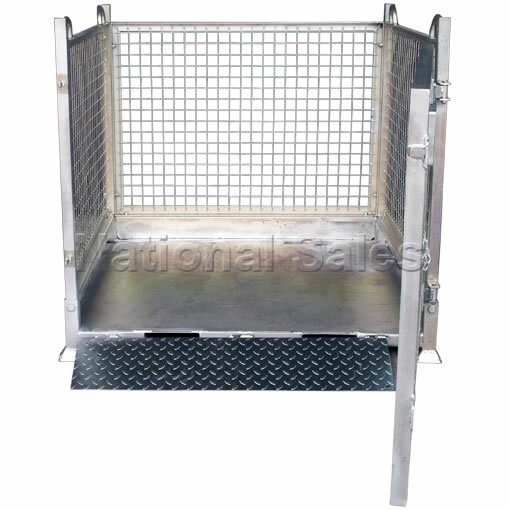 NS-CGC1150 crane goods cage with ramp to safely convey loose or palleted goods using either forklift or crane. 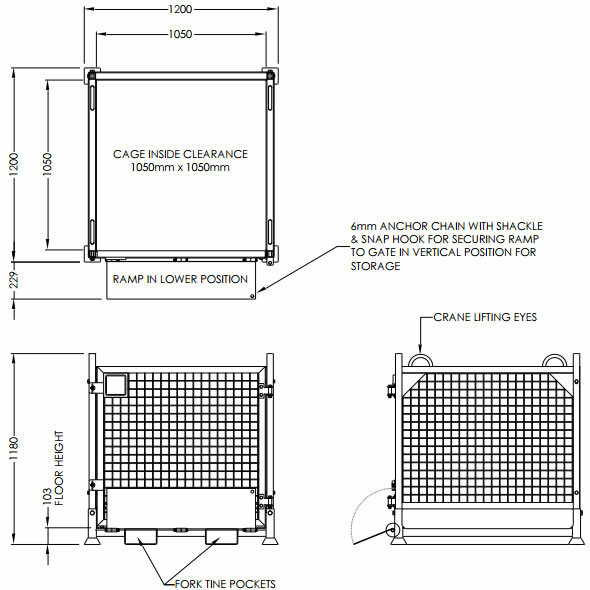 The NS-CGC-1150 crane goods cage with ramp can be used to lift loose or palletised goods using either a crane or forklift. 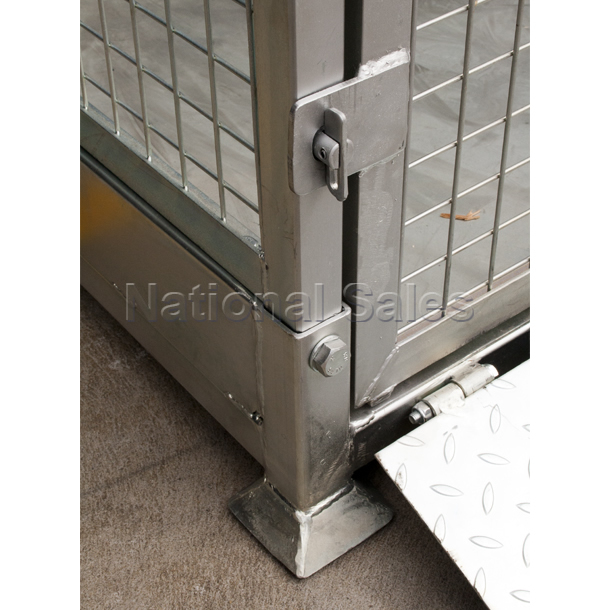 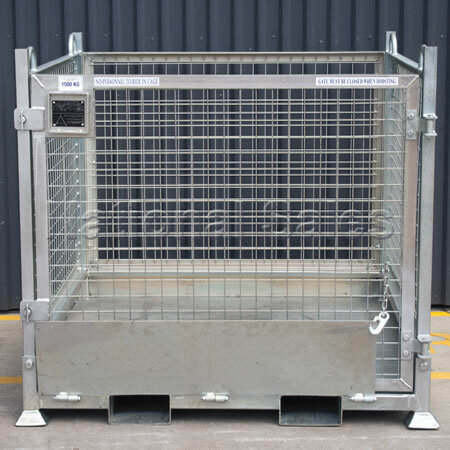 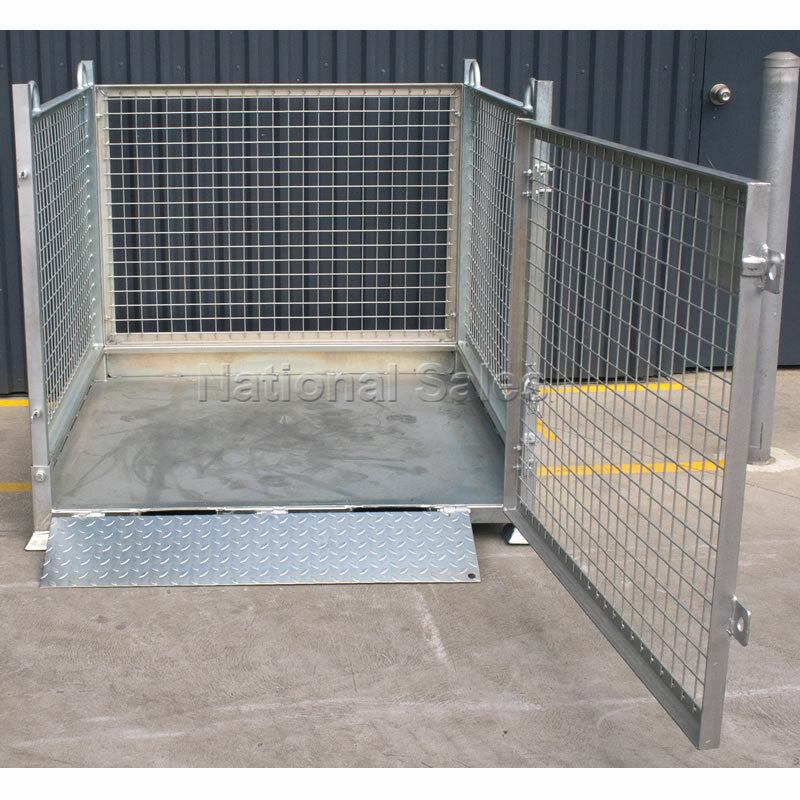 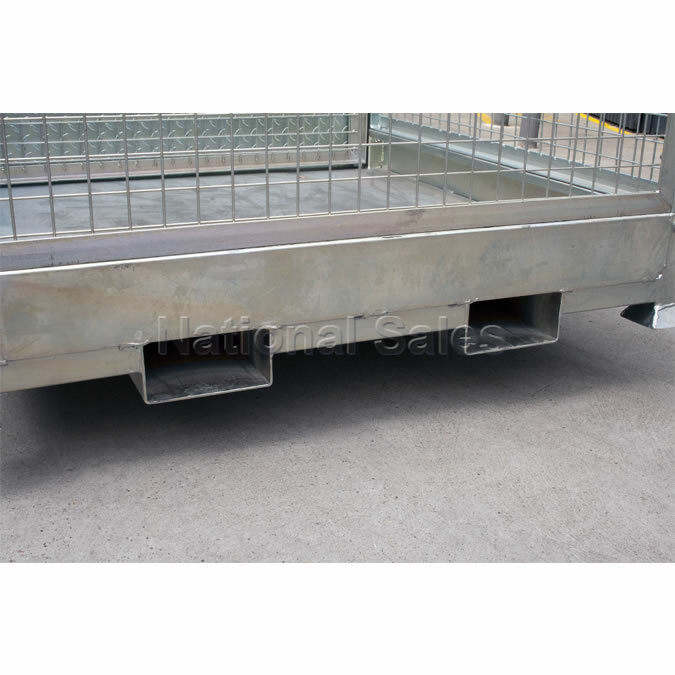 This heavy duty goods cage is fitted with a fully opening front gate for easy loading of palletised goods.